At Build 2013 in San Francisco, Microsoft today announced the availability of Windows 8.1 Preview. Windows 8.1 is a free update for Windows 8 customers coming later this year through the Windows Store, and a pre-release version is available now for users interested in trying out many of the new features and improvements introduced with the preview. Windows 8.1 Preview include enhancements in personalization, search, apps, the Windows Store, cloud connectivity, and a lot more. Note: Before proceeding to install, it should be noted that this preview is mainly for experienced PC users, and you might encounter errors as this isn’t the final release. If you’re running Windows 8 Enterprise or the Windows 8 Enterprise Evaluation on your PC, you’ll need to download the Windows 8.1 Preview ISO files. The Windows 8.1 Preview can be either installed through the Windows Store or using the ISO (currently available to MSDN and TechNet subscribers only). 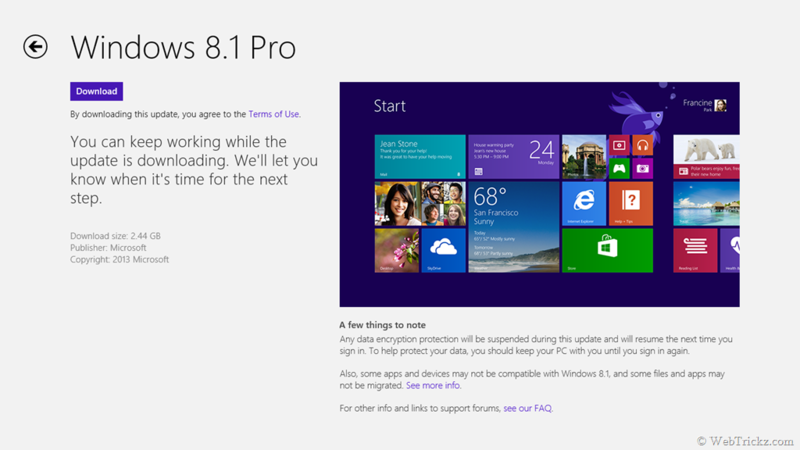 To install Windows 8.1 Preview, visit windows.microsoft.com/en-us/windows-8/download-preview, click Get the update button to download and install a small update that enables Windows 8.1 Preview update through the Windows Store. 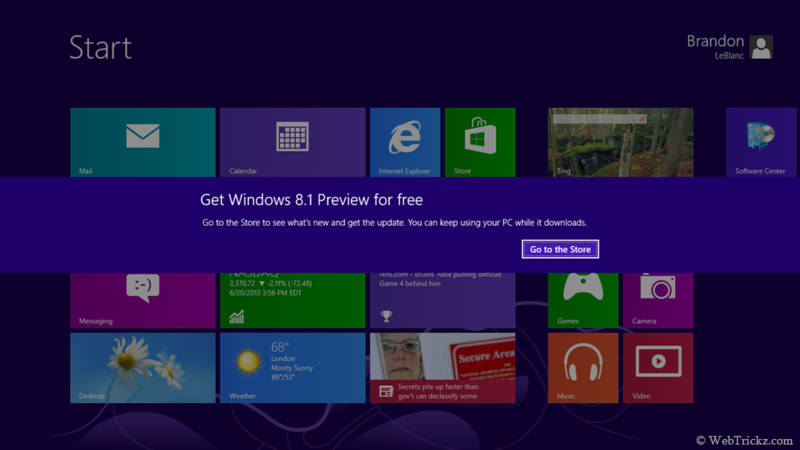 At the Windows Store page, click “Download” to install the Windows 8.1 Preview. The downloading will begin and before it installs, Windows will do a series of compatibility checks to make sure your PC can run the Preview. Nice share. Does this slow down anything. I just got a product key for mocrosoft 2013 from ** windows 8.1 key sale ^^ on bing, it worked fine , I’m so excited to share my experience here.